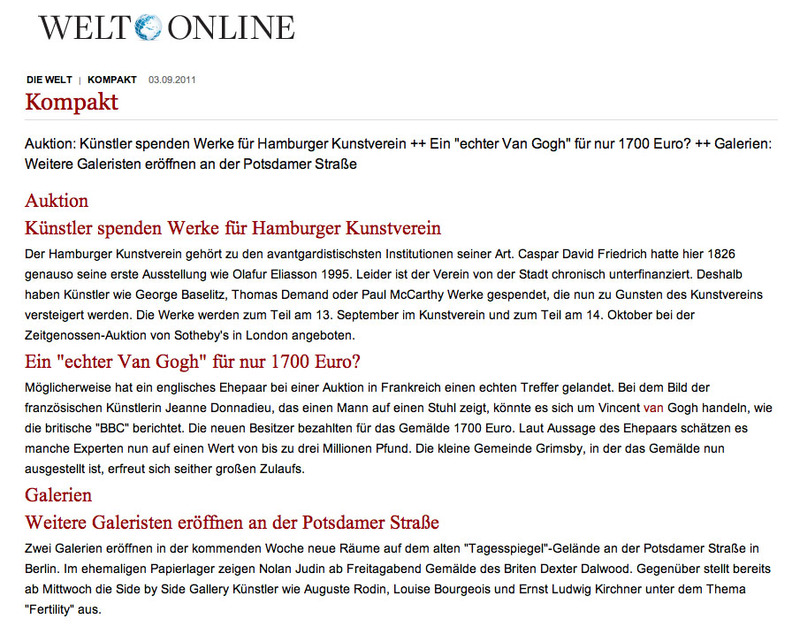 Two galleries open up new spaces in the coming week on the old "Tagesspiegel" site on the Potsdamer Strasse in Berlin. Beginning on Friday, Nolan Judin will present paintings by British artist Dexter Dalwood in the former paper warehouse. And across the yard, starting on Wednesday, Side by Side Gallery will show artists such as Auguste Rodin, Louise Bourgeois and Ernst Ludwig Kirchner under the theme "Fertility".